Morning all! 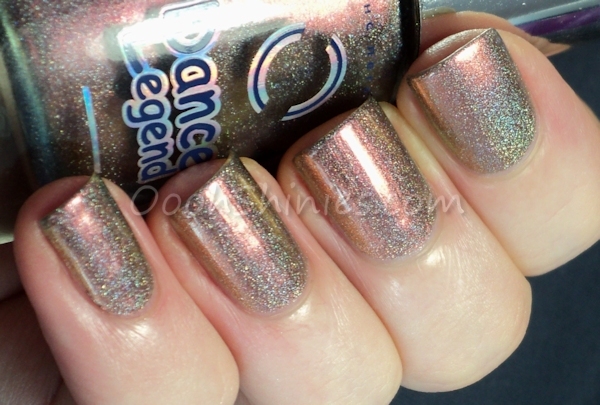 The polish that I'm showing today is one of the most unique polishes in my stash, or well, a lot of polish in my stash is unique, but I'm sure you know what I mean anyway! 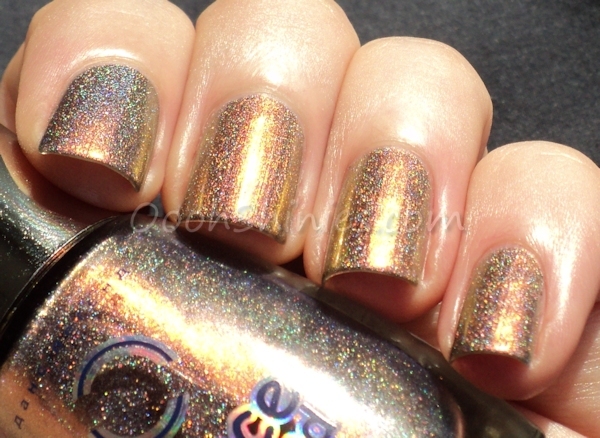 Duochrome meets holo, in a gorgeous mix that applied easy and smooth in 3 thin coats ♥ Needless to say, it was near impossible to sort out photos and pick just a few! 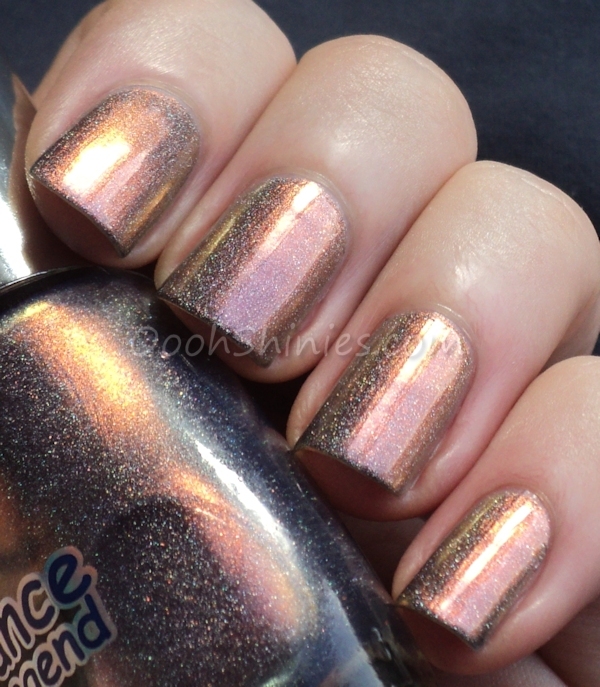 And I really wanted to show all sides of this polish in various light, and doing so in just 2 or 3 pics? Nahh :) So I hope you won't mind a little picspam! ^^ My swatches are without top coat. 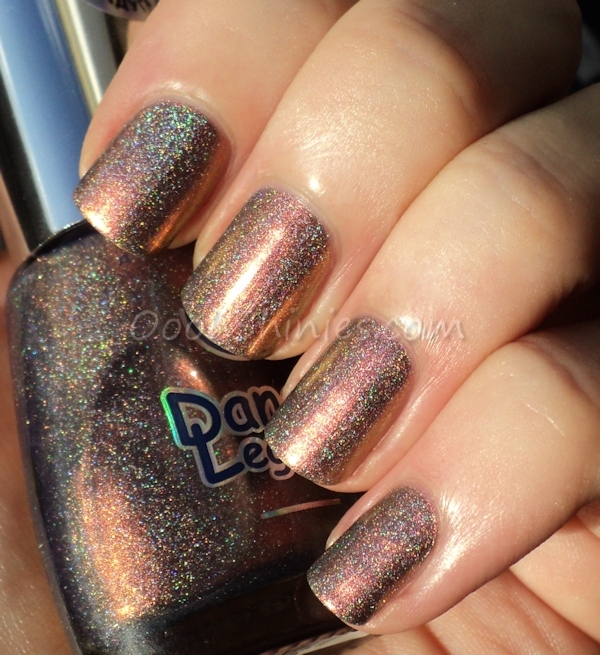 This polish is from a line called Shining Rainbow (and yes, I do want them all now, can you blame me? 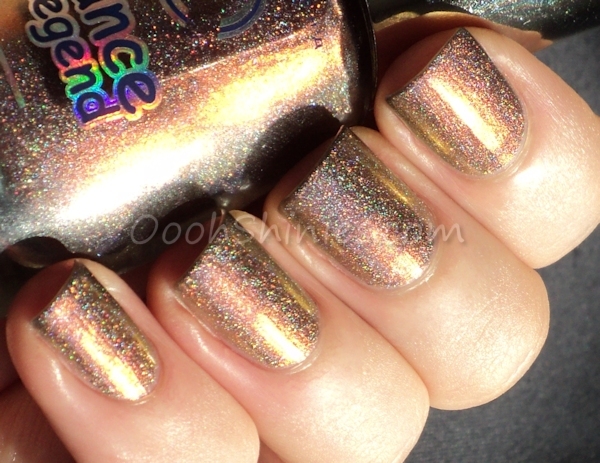 :)) and I received this polish from a webshop called Hypnotic Polish. This webshop is brand new, and right now the website isn't live yet, but it will be at the end of this month! Hypnotic Polish is a webshop based in the Netherlands, but ships worldwide, and it packs some great brands! Dance Legend is one of them, but another Russian brand called El Corazon will be sold there as well. I've received several polishes, so I'll be showing some more brands that are new to me in the coming weeks. In the mean time, have a look at the Hypnotic Polish Facebook page for more info, their FB shop and to get an idea of the brands they have!